Wally’s Answer: Windows 10 has been adopted by many people lately. Microsoft claimed that Windows 10 is activated on more than 75 million computers after just 1 month of its release. An operating system being updated on a scale this big can have problems in some cases. But, most of these problems are easy to fix. 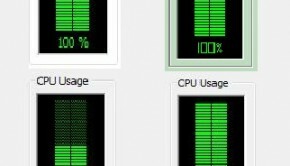 The CPU is constantly running at 100 % and the computer is not running at full capacity. It might be running a bit slow as well. If the Performance statistic is stuck at 100 % then this can be caused by an old BIOS driver. Slow speed is another symptom of old driver software. The computer was probably running pretty smooth as long as you were using Windows 8 but this problem appeared once you updated to Windows 10. This happens because people forget to update their drivers. Driver software sits between the computer’s hardware and windows. It helps them communicate with each other. You can update driver software by going to your computer vendor’s website and looking for your computer. Download the drivers and install them one after another. Don’t try to install two drivers at once because this can cause problems. You can also use DriverDoc to update drivers if you’re having trouble. Make sure to update the main drivers such as video, audio, network, and BIOS. You computer might be running slow due to a malware infection. This can happen if your computer is still running slow after updating all drivers. You can easily fix this problem by using MalwareBytes to scan and remove malicious software from the computer.